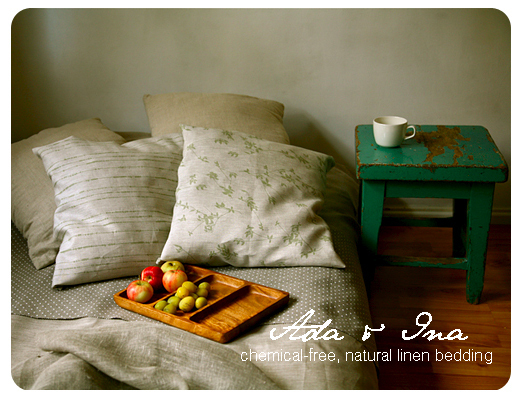 Ada & Ina are specialized in sourcing the best quality linen fabric for bed linen. Our designer bedding is made of stonewashed 100% Linen. Linen fabric is noted as the fabric of luxury and it symbolizes comfort and elegance. Linen does not cause irritation or allergies which makes it the perfect choice for both safe and comfortable bedding material.